The greatest wind uplift on a roof is in the corners, second is at the edges, and least is in the middle of the roof. 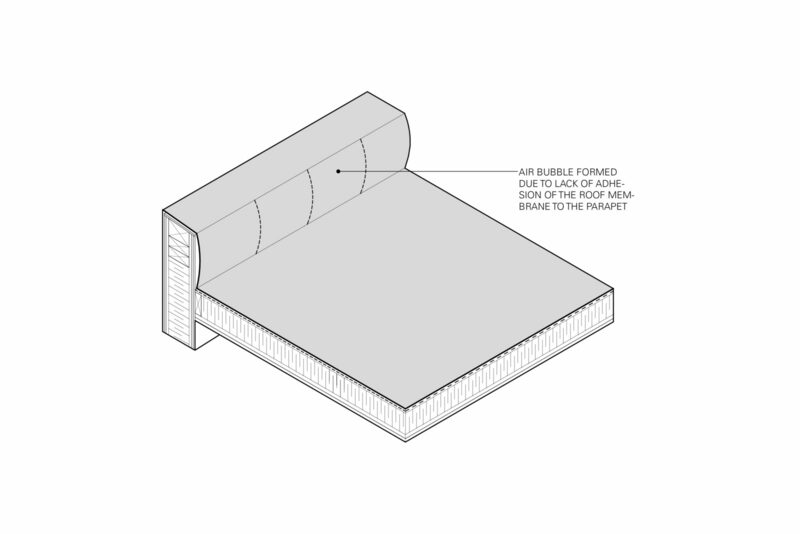 The roof membrane must be well bonded to the parapet to resist the action of the wind. Wrinkled membrane is an indication of lack of adhesion and should be addressed immediately so the roof does not blow off - see Image 2 and 3.